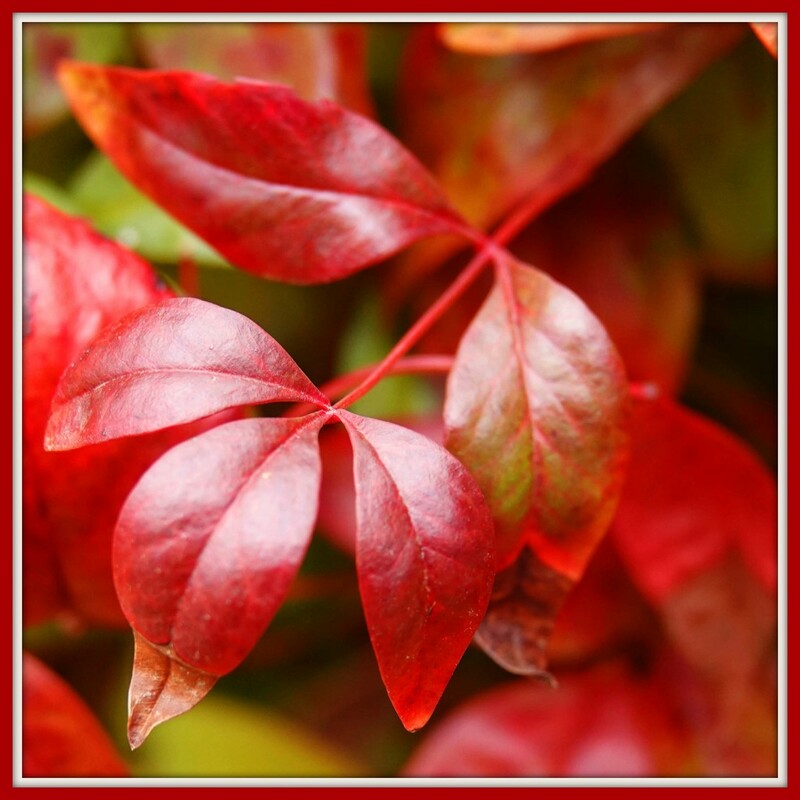 The shrubs are putting out their late winter/early spring pretty red leaves. Good opportunity for a photo. Beautiful! Love the perfectly matched frame.